Affordably priced for the high-volume shooter, this case contains 1000 rounds of Prvi Partizan (PPU) ammunition packed in 50-round boxes. 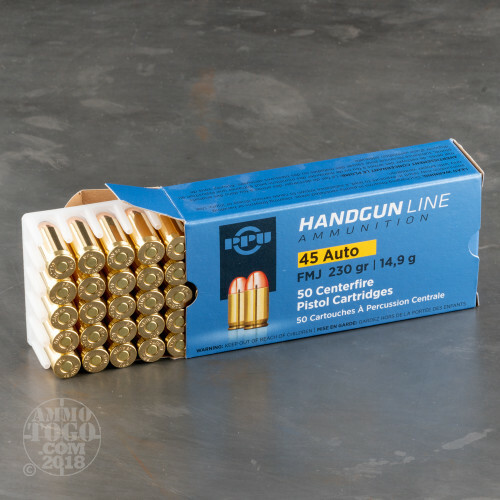 Boxer primed and brass cased, this ammunition is 100 percent non-corrosive and fully reloadable. 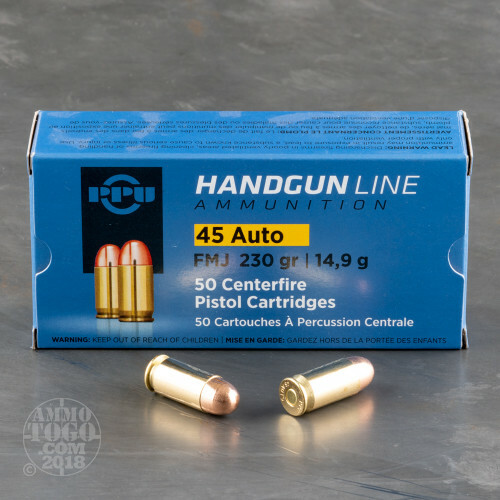 Each new production .45 ACP (Auto) cartridge is loaded with a 230 grain full metal jacket (FMJ) projectile. Each round leaves the muzzle at a velocity of 836 feet per second with 357 foot pounds of muzzle energy. 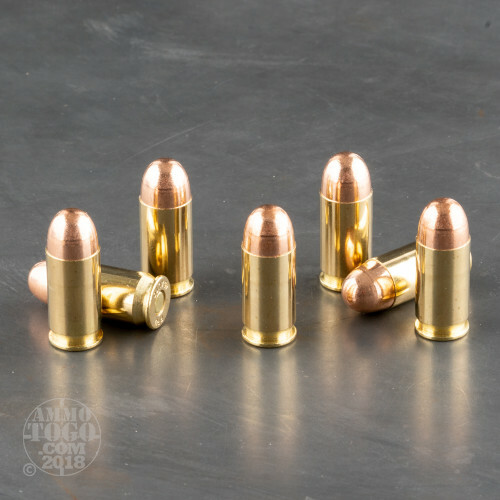 Providing deep penetration with zero terminal expansion, these FMJ rounds are best suited for target practice, repetitive tactical drills, and casual backyard plinking. Prvi Partizan facilities are located in Užice, Serbia. 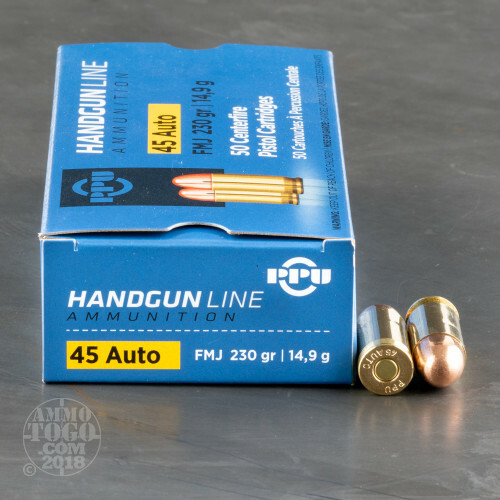 One of the largest ammunition manufacturers in the world, the company is best known for producing ammo for the Serbian military and police forces. Prvi Partizan also manufactures quality loads for civilian use.